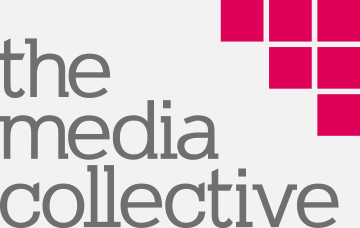 At The Media Collective, we believe that good business should be about more than good spreadsheets and profit-driven activity. We’re completely passionate about building a business that serves a wider community, and that rewards a multitude of people, not just the owners. Being generous is at the very heart of who we are. It’s written into our company values, but it doesn’t just happen because you want it to. We realised that even if we didn’t have millions of pounds to give away we could start by being generous in other ways. Generosity is about the sacrifices we make, not simply how much money we give away. We have known Brad and Cyrilyn Moore, founders of Operation Orphan since before they set up the charity but it wasn’t until our thinking changed and we realised that we could offer them some of our time and talent (profit was scarce) that we got in touch to start the ball rolling. We operate in the service industry. So for us, serving another organisation was a natural way to start practicing what we wanted to be doing. We had been giving sporadically to various other charities, and helped individuals here and there but it felt too piecemeal. When Jez Currin went to meet with Brad they realised how similar their values were and then things quickly started to fall into place. The way that Brad and Cyrilyn want to run the charity with complete integrity and transparency was fantastic to hear. Using the resources within the business to serve Operation Orphan’s needs felt like the perfect way for us to increase our giving in a real and meaningful way. Working on Operation Orphan’s promotional material has given us an amazing insight into what they really do, which has been incredibly rewarding to be a part of. We wouldn’t have developed such a connection simply by writing a cheque every now and again. Their project requirements don’t always coincide with our quiet times and they have sometimes had to wait a little longer for us to complete their work but we are both growing together in working this out and it’s a very rewarding process for us. Now that Operation Orphan are partnering with schools to help expand their vision it feels like the perfect partnership. Since making this decision we have grown in this area, setting up a separate charitable trust. Called The Sponge its function will be to ‘soak up’ a percentage of profits from The Media Collective and ‘squeeze’ it out onto worthy causes. We’re super excited about this one and are starting to invest into it already. Our business spreadsheets now have a column dedicated to target a certain amount of profit every year that can be invested into The Sponge and we want that number to grow, both in value and in percentage of profit share. Here at The Media Collective we know that when we are generous and share what we have then everyone benefits, including our staff. We provide pro bono design work and cover the cost of running the website for Operation Orphan. This is just a small example of the ways that we can help, and we believe that the best is yet to come. We have grand plans for expanding our pro bono work and look forward to seeing what growth the future will bring both to our vision and to our teams. We hope it’s nice to know that if you have used The Media Collective then you have invested into Operation Orphan and all of our other giving. If you’re wondering where you can start being more generous and are looking for a reputable, honest and diligent charity to support please get in touch with Brad at Operation Orphan to find out how you can play your part and give a little bit to help their vision.